Ma prochaine exposition solo aura lieu à The Engine Room de la Nouvelle-Orléans du 9 novembre au 14 décembre 2018. Pour cette nouvelle version de « Clear, Deep, Dark », je présenterai une sélection de travaux récents et quelques travaux anciens, commissariés par Amy Mackie, de PARSE. Je vous donne RDV lors du vernissage le 9 novembre 2018 à 18h ! – Un atelier animé par Geir Haraldseth (directeur du Rogaland Kunstsenter, Stavanger, Norvège) et Stina Högkvist (directrice des collections du Nasjionalmuseet à Oslo, Norvège) > le 12 novembre à 18h30. – Les ouvertures des 110 ateliers du bâtiment où se trouve the Engine Room > le 31 novembre toute la journée. 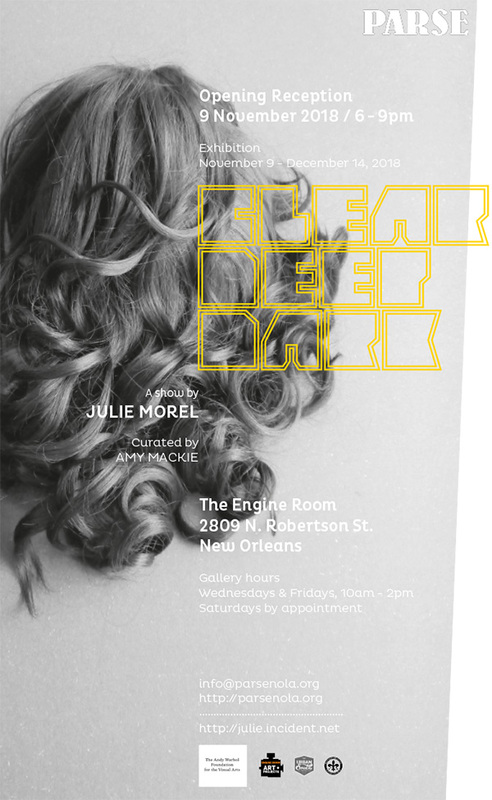 I am so happy to be announce my first solo exhibition in New Orleans, curated by Amy Mackie, from PARSE, at The Engine Room, New Orleans. The opening reception is on November 9 at 6PM, and the exhibition will run from November 9 to December 14, 2018. This will be my largest exhibition to date, and I am very pleased to be working with Amy and Parse to present both old and new works! 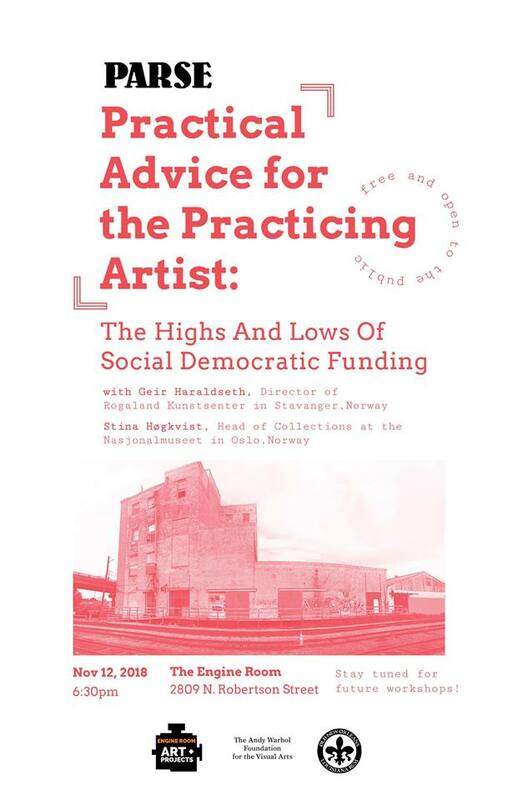 – A workshop by Geir Haraldseth (Director of Rogaland Kunstsenter, Stavanger, Norway) and Stina Högkvist (Head of collections at the Nasjionalmuseet, Oslo, Norway) > 12 November, 6:30PM. – Open studios at 2809 N; Robertson and as well as the the Engine Room > 31 November; all day.